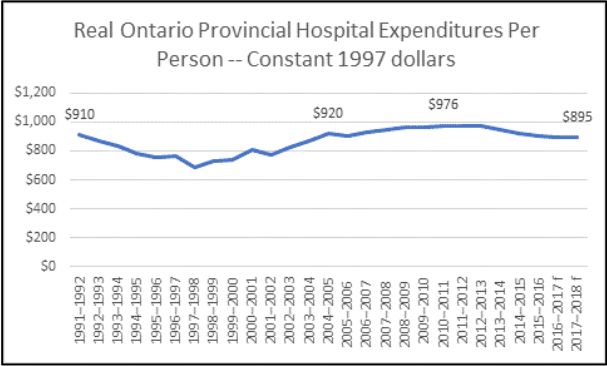 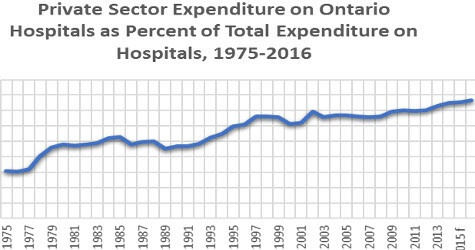 The brief below is part of a cross province campaign begun before the summer election by the Ontario Council of Hospital Unions / CUPE to alert the public to the dangers to hospital and healthcare posed by a Doug Ford Progressive Conservative government. 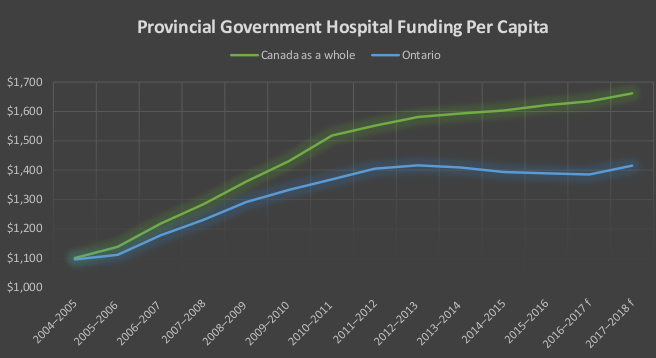 After the election, TD released a reportsuggesting the government to make even deeper cuts to real program spending – $23.9-billion annually by 2022/23. 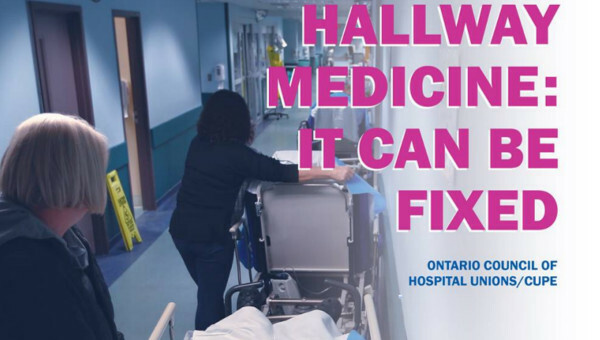 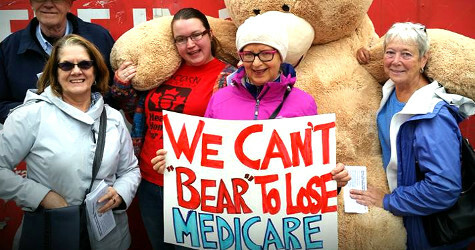 CUPE, along with other unions, is working closely with the Ontario Health Coalition (OHC) and the hundreds of community groups affiliated to it. 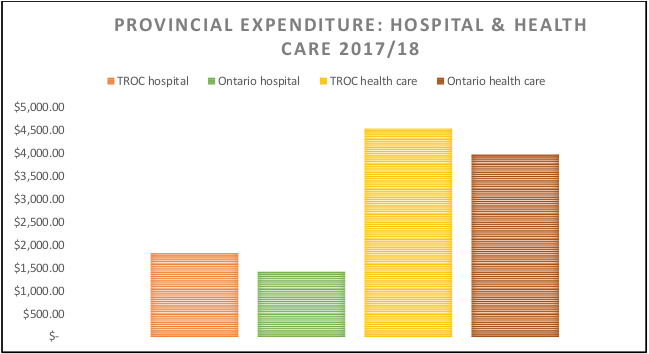 The OHC Assembly in November debated a new Action Plan, which calls on the community – labour alliance to build a rally at Queen’s Park in the spring that will double the size of the October 24 healthcare rally of 8,000 at the legislature. 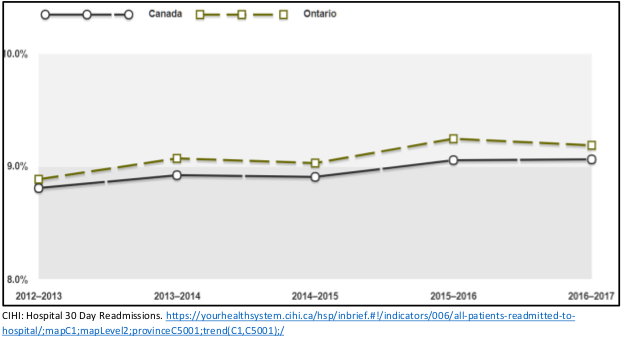 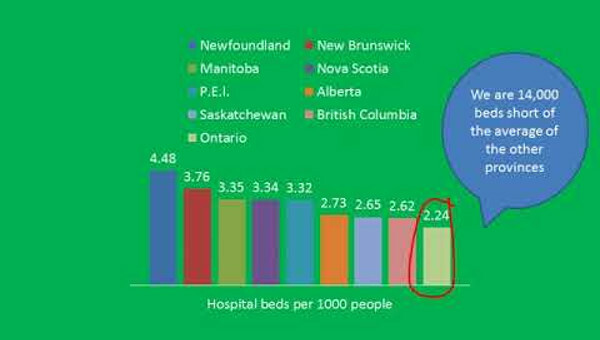 Source for bed numbers: CIHI, Hospital Beds Staffed and in operation 2016-17. 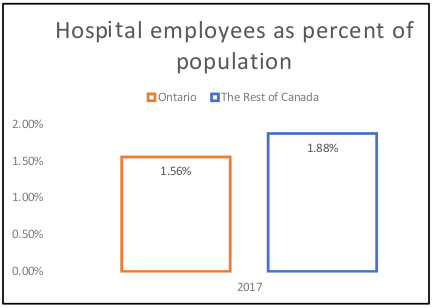 Data as of Jan. 24 2018. 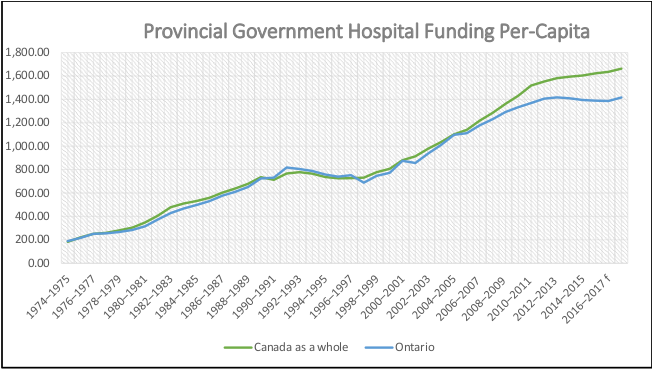 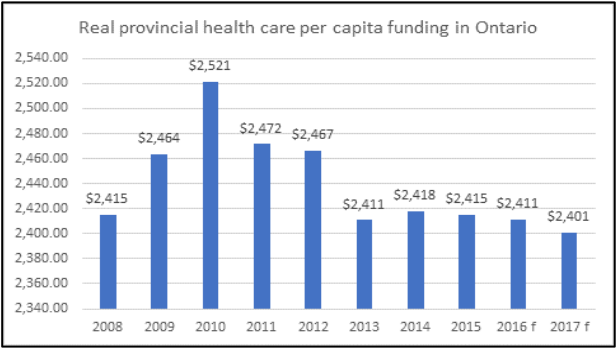 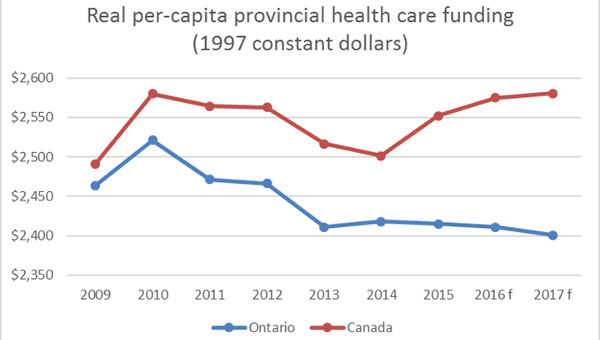 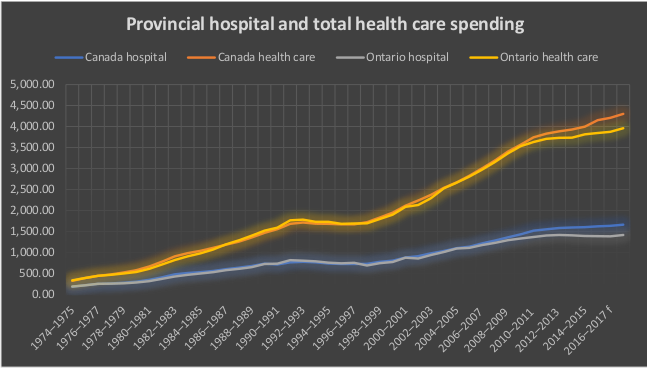 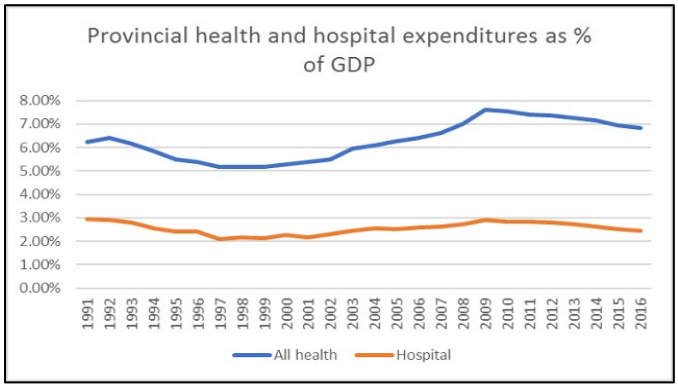 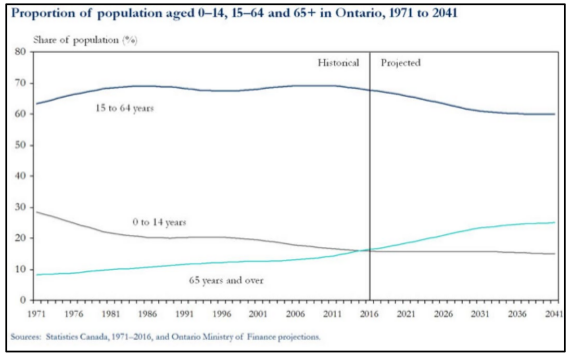 Quebec data not reported by CIHI.